Vectrus has landed a spot under a survey-based ranking that recognizes organizations supporting veterans and their relatives. Over 35 percent of Vectrus’ workforce consists of individuals who have previously served with the military, the information technology firm said Wednesday. Military Times’ Best for Vets: Employers 2018 evaluates a company in terms of culture, veteran recruitment, veteran policy and accommodation for reserve forces. 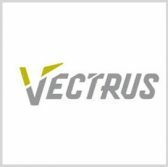 Vectrus’ entry to the ranking this year follows the company’s selection under last year’s iteration of the program. “Vectrus is honored by the veterans who come to work for us after their service to our country,” said Frank Peloso, senior vice president and chief human resources officer at Vectrus.